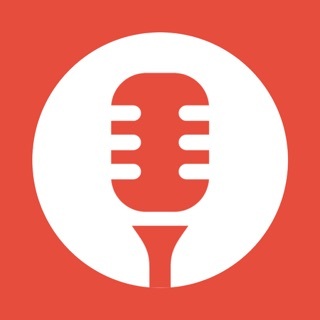 1) UCast is an application created by and for podcast followers. UCast is the first player podcast born with the philosophy of putting together design, a friendly interface, and also all customization and personalization for the most advanced and expert users. The application has a smart adaptation for each podcast you're listening, creating a personal experience for each show. 2) UCast has been designed using all the latest updates and features of iOS 9 with builtin support for 3D Touch technology and Spotlight searches to find your podcast. It also incorporates gestures controls to playback and manage podcast, everything has been designed to be simple, natural and intuitive. In addition, UCast, it is fully compatible with iPhone and iPad. * GESTURES BASED INTERFACE - There is nothing more natural than a gesture. So in UCast you can control playback with simple gestures on the screen. * SPEED CONTROL - Short of time but still want to hear all your playlist. Adjust the speed to your needs without losing audio quality thanks to our innovative system to control speed. * IMPROVED AUDIO - Feel like a whisper in your ear. Enjoy a unique sound experience thanks to our improved audio enhancement. * CONTINUOUS PLAY - Your favorite podcast, now without limits. UCast can play nonstop your favorite podcasts or those in the queue. * DESIGN - A unique experience. In UCast, each screen has been specially designed so that your favorite podcast looks better than ever. All controls have been carefully selected to offer the best playback experience. * 3D TOUCH - you can manage your subscriptions quick ‘n easy and you can control playback through gestures. * CUSTOMIZABLE INTERFACE - An app for everyone. Set the interface you like most. Choose between light and dark theme, grid of 3x3 or 4x4, round or square covers, make your own UCast. And do not forget to share! * ADVANCED MANAGEMENT - All adjustments for the most demanding. With UCast you can manage your subscriptions, events, downloads, and control when everything is done is a Kids game. * STREAMING AND DOWNLOAD DIRECT - All your podcast anywhere under any circumstances. With UCast you can listen to your podcast via streaming or download to listen to offline at anytime, anywhere. * UPDATE AND BACKGROUND DOWNLOAD - Do not waste time with downloads. Schedule automatic updates to run in background and once when you open UCast your last episodes will be ready to play. * SLEEP TIMER - Stop the clocks with UCast. Set a timer to continue listening when you want. So you will not miss a single second of your favorite podcasts. * EPISODE SUPPORT - Browse quickly in between large episodes. UCast offers full support for audio chapters. So you can skip directly to the information you care about most. Skip intro and endings. Configure how many seconds want skip for each podcast. iPhone Xr, Xs Max support. I love the UI of this app but, it you subscribe to several podcasts your device will soon balloon to several gigabytes of downloads. And the only way to clean them up is to delete episodes one-at-a-time!!! 1) Adding support for steering wheel commands in the car (forward and rewind). 2) UCast hangs and does not continue playback when receiving a call or sending audio texts when it's connected via Bluetooth to either the car or a Bluetooth-enabled speaker. 3) UCast audio quality still needs improvement. Quality diminishes further when increasing playback speed from 1.0 to 1.3 to 1.5. Thanks for the fix on number there above. I removed it as an issue. Added one star. During playback, you have a swipe right option to view downloaded episodes, are you considering expand on the empty left swipe? It would be useful and nice to have episode notes or information that the podcast provides on the left swipe. We are working on fix the audio issues and the audio interruptions. On last version we introduce the Drag & Drop for organize the podcast grid. You can move the podcast if you hold the cover 2 seconds.